Wondering how to become a homeopath? 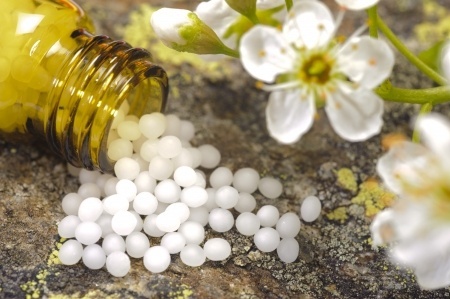 We explain the practical qualities which make a great homeopathic practitioner. Also understand Return To Health’s Diploma in Practical Modern Homeopathy. Learn how it is structured to provide real career outcomes in the field of homeopathy. A Homeopath must have an intricate knowledge of people and be incredibly observant. They should also be inspired by a deep level of patient care. You can build on these natural qualities with a strong foundation of homeopathic knowledge and clinical practice in study at Return To Health. The Diploma in Practical Modern Homeopathy is Accredited by the International Institute for Complimentary Therapists (IICT). How do I decide if I might be a good homeopath? Do you want a life of helping others through illness, growth and change? Then you might be a good homeopath. The life of a Homeopath is the road less traveled. The career with heart and soul. A successful Homeopathic Practitioner has a love for other beings. They have a desire to help them achieve mental, physical, emotional and spiritual well-being. Homeopathy is a career, but really it is also a whole new way of living. When you choose to study at Return to Health, you are choosing to embark on a life journey. This isn’t just Vocational Training on how to become a homeopath. This is immersion of Practical, Medicinal, Theoretical, Psychological, and Spiritual principles. It is designed to make you the best practitioner you can be. These days, more people are choosing natural health therapies and natural, healthy food. Many are preferring to look for wellness as a lifestyle. Less are waiting until illness strikes to find an allopathic cure. It’s a great time to devote your working life to holistic health. Why would I want to become a homeopathic practitioner? As far as simple, affordable, powerful holistic health modalities go, you could say homeopathy is the gold standard. The work is instinctive and life-changing for both patient and practitioner. Homeopathy is a fantastic all-encompassing system of medicine. It supports wellness, and treats illness. Homeopathy is an energetic modality, which often requires an element of spirituality, in practice and study. This may not suit every potential health practitioner. But it is precisely this extra dimension which can bring forth results in homeopathy which are awe inspiring. Practiced with heart, it can work for anyone – children, animals, the elderly, and the pessimistic. Homeopaths may practice a single modality. Or, they may be trained in multiple natural health modalities, which includes homeopathy. What are the benefits of doing this Diploma for my homeopathy career? As the course name suggests, the curriculum takes into account modern living, and the issues facing both human, animal and plant life right now. The Diploma in Practical Modern Homeopathy not only arms you with the knowledge to practice homeopathy, it also arms you with plenty of practical experience. This experience is equally as important as theoretical principles to the development of a successful homeopath. We combine these practical and theoretical elements with significant personal development. This multi-level education produces better outcomes for Homeopathic Practitioners upon graduation. It can also bring more consistent results in homeopathic practice. The student will have a good understanding of the basis of homeopathy and how this is applied in clinical situations. They will know how to use common homeopathic resources to create professional homeopathic prescriptions and remedies. The student will obtain a sufficient level of practical clinical experience to enable independent practice on graduation. They will also have a good understanding of practice, client and case management to enable independent practice on graduation. With the right guidance, a career as a Homeopath can spring forth in you an incredible power to effect positive change for all living things. The Homeopath’s journey is therefore one of both deep commitment and deep reward.